It’s FREE. Most plunges charge a fee, sometimes as much as $20! This event doesn’t. It’s OPEN TO THE PUBLIC. Some plunges are for members only, which means you have to pay to join. It’s BIG! Up to a thousand or more attend this event! It’s FUN! The Cabrillo Beach Polar Bears crown the 2016 King & Queen. They usually do the Grunion Dance, too! It’s AUTHENTIC. It promotes health and community. 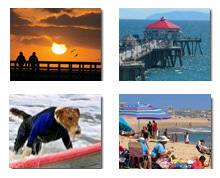 Many participants swim daily in the Pacific Ocean. It’s got HISTORY. 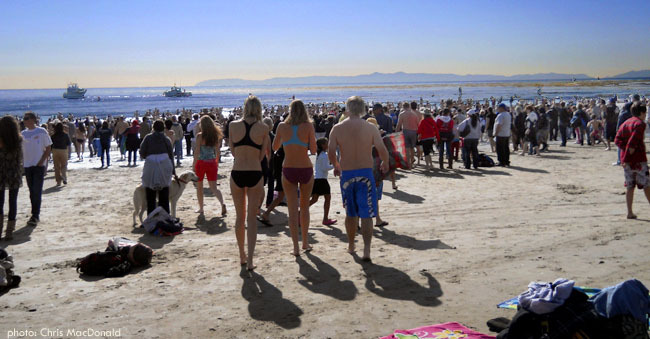 The first New Year’s Day swim in San Pedro was more than 60 years ago, and there are plenty of memories.